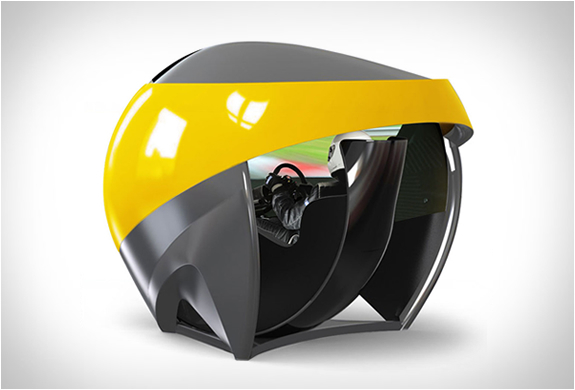 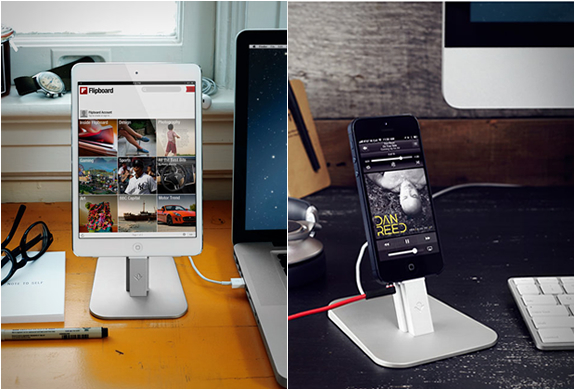 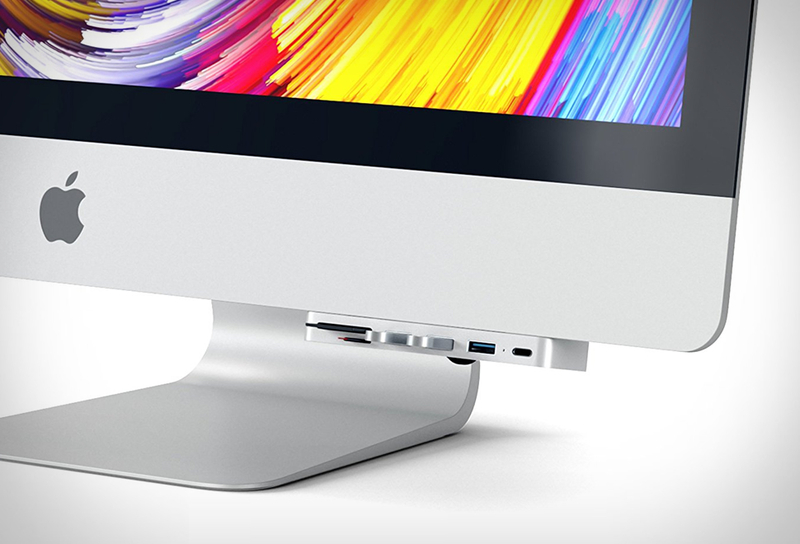 The iMac Clamp Hub by Satechi is a clever solution that solves the annoying iMac design flaw of the rear ports. 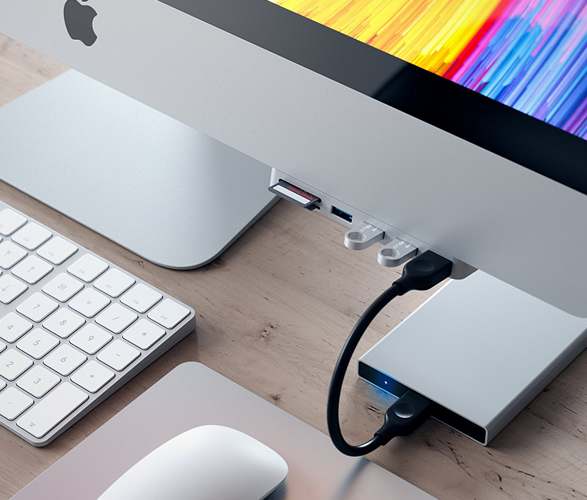 The stylish clamp has a metallic brushed aluminum finish that seamlessly camouflages into your iMac, it plugs into one of your iMac’s Thunderbolt 3 port, adding convenient access for all your most-loved ports and devices. 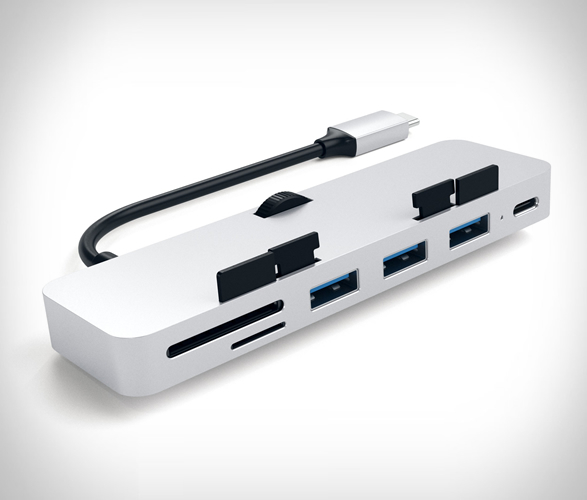 It gives you 3 USB ports, a Type C port, and two card reader slots (absolute blessing for photographers). 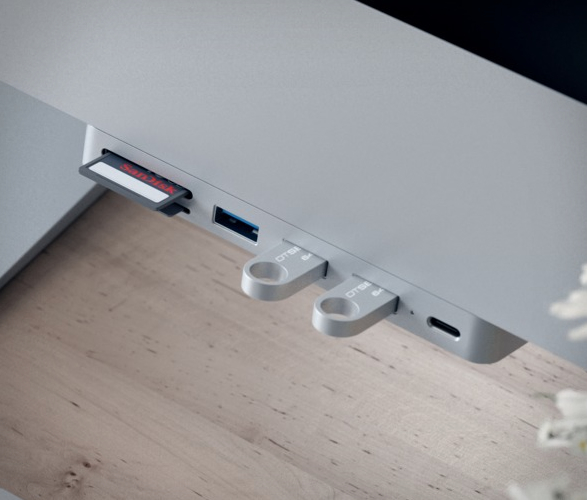 It not only gives you more ports, it gives you more ports exactly where you need them, so you’re not fumbling around to locate them on the back of the iMac. 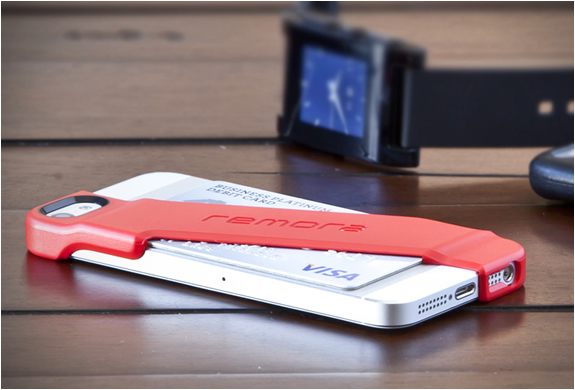 Available in two modern colors, space gray and silver.